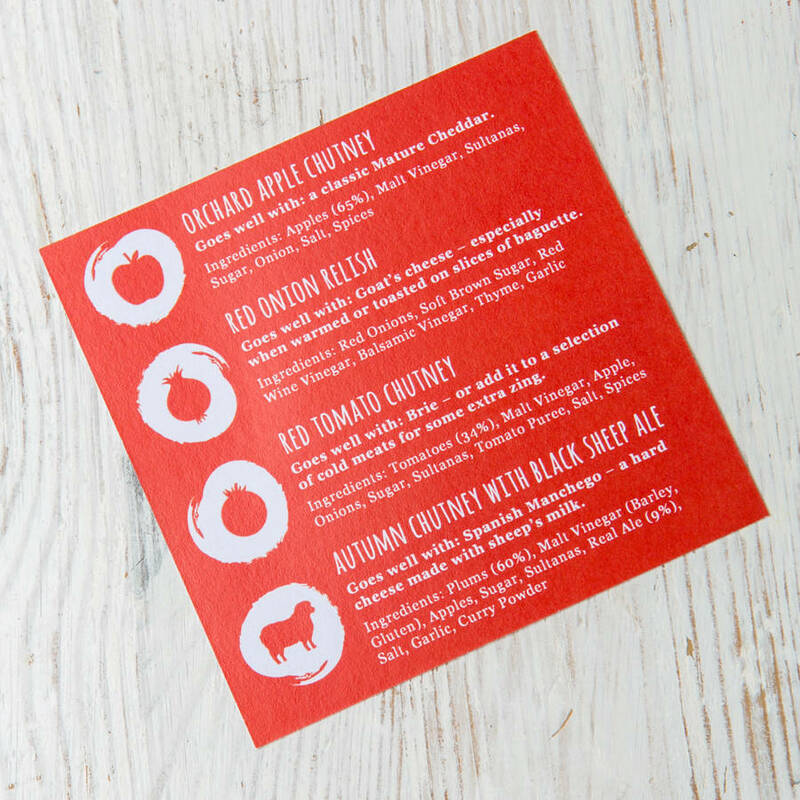 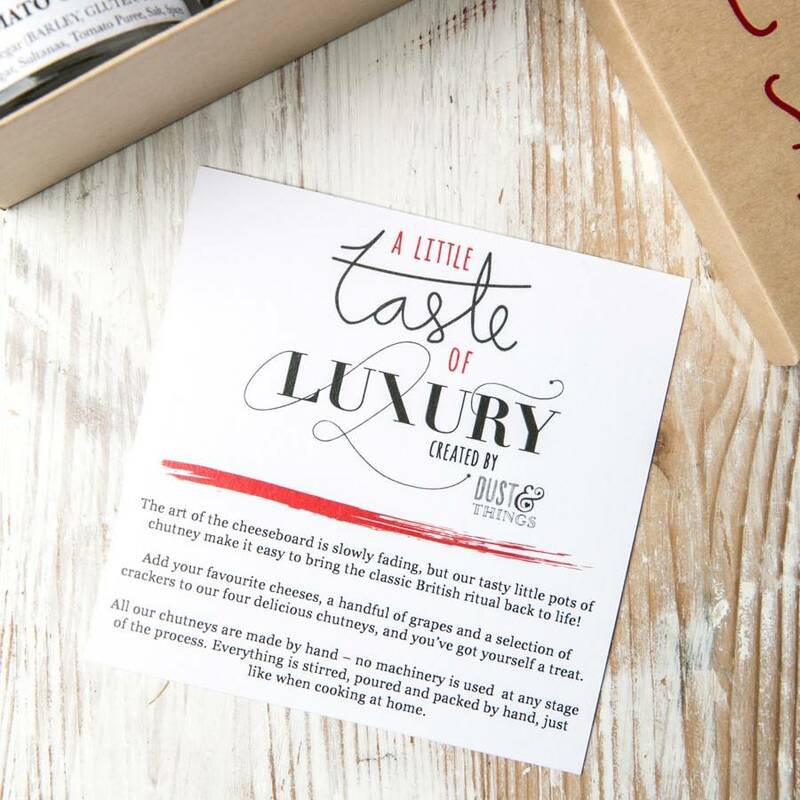 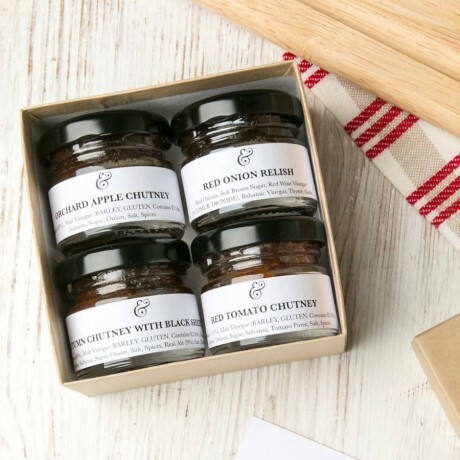 We've created four delicious chutneys with a local producer, each one flavoured for different cheeses. 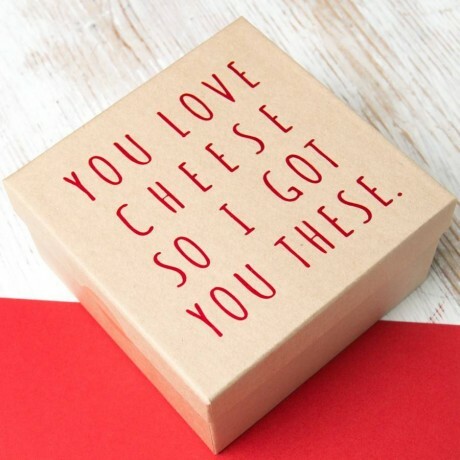 The set is presented in our stylish box, which reads 'You love cheese so I got you these' in satin foil lettering. 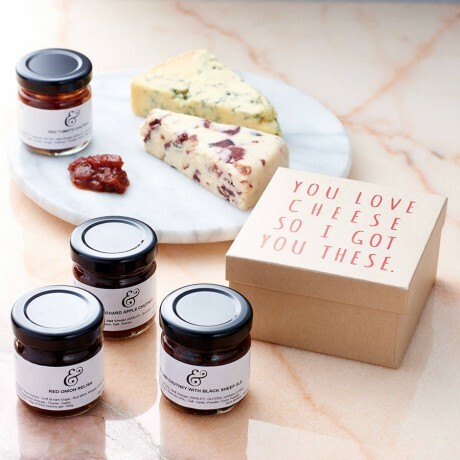 The art of the cheeseboard is slowly fading, but our tasty little pots of chutney make it easy to bring the classic British ritual back to life! Add your favourite cheeses, a handful of grapes and a selection of crackers to our four delicious chutneys, and you’ve got yourself a treat! 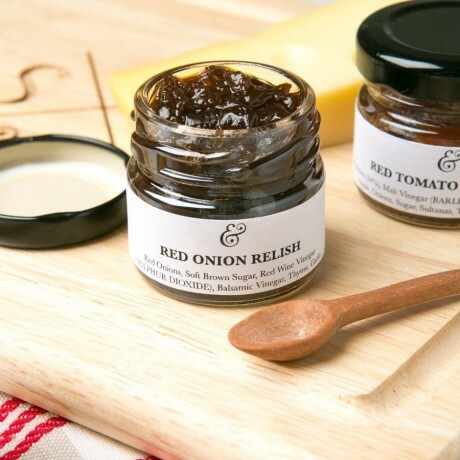 All our chutneys are made by hand – no machinery is used at any stage of the process. Everything is stirred, poured and packed by hand, just like when cooking at home. 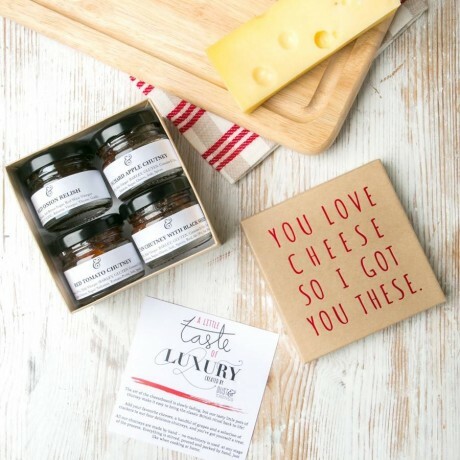 A great stocking filler gift for cheese lovers. These chutneys have a shelf life of 2 years (2018) and each jar has a specific best before date marked.